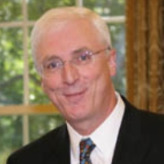 Michael Collins has served as Ireland’s ambassador to the United States since August 14, 2007. Born in Dublin June 25, 1953, he earned a BSc from Trinity College, Dublin in 1978, and attended Blackrock College’s Institute of Public Administration. Collins entered the Department of Foreign Affairs as a third secretary on March 1, 1974. He served at Ireland’s Embassy in Rome (1975) before being promoted to first secretary at headquarters (Anglo-Irish Division) in 1977. He also served at the Consulate General of Ireland in New York (1982) and at headquarters’ political division in 1986. In 1990, Collins was made counselor. He served in the Anglo-Irish Division at headquarters, and in the agency’s press section, both in 1990. In 1993, he was transferred to the Irish embassy in Washington, DC, before becoming Ireland’s Ambassador to Saudi Arabia, Bahrain, Kuwait, Oman, Qatar and the United Emirates in 1995. In 1999, Collins was made Ireland’s Ambassador to the Czech Republic and Ukraine. In 2001, he became second secretary general, Department of the Taoiseach, with responsibility for international and European Union affairs and particularly the Northern Ireland Peace Process. He remained in this post until his appointment as Ambassador to the United States. Collins speaks Italian and French.